Break out of those winter doldrums with the excitement and promise of the return of the humpback whales! A very special installment of our free Aquarium Lecture Series will dive into the world of these graceful leviathans with a look at them in both the Atlantic and Pacific oceans. Attendees will first get to see our spectacular new IMAX movie, which introduces viewers to the whales' complex and fascinating lives beneath the waves through unparalleled, underwater 3D footage. Humpback Whales 3D is produced by MacGillvray Freeman Studios and was shot in Hawaii, Alaska and Tonga. 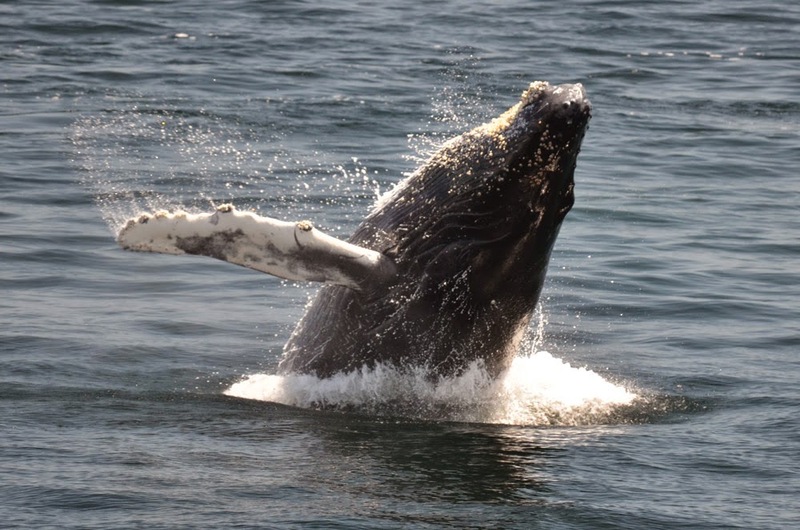 Despite those exotic movie locales, Boston has some of the world’s best, and possibly most accessible, humpback whale watching, just 25 miles to its east at the Stellwagen Bank National Marine Sanctuary. After the immersive experience of being underwater with the whales in the film, discover the whales you know from the surface of Cape Cod Bay Dr. Scott Kraus, Vice President of Research, New England Aquarium, Dr. David Wiley, Research Coordinator, Stellwagen Bank National Marine Sanctuary, and Laura Howes, Director of Marine Education and Conservation, Boston Harbor Cruises (operator of New England Aquarium whale watches). You'll learn what draws the humpbacks so close to one of America’s largest cities, the highlights of last year's whale watching season and what challenges face America’s only whale feeding sanctuary. The lecture is free! We simply ask that you RSVP online. 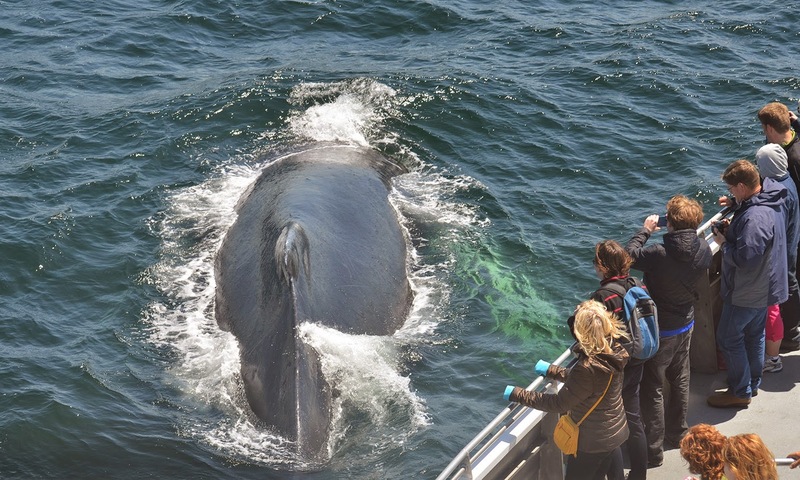 Passengers on a 2014 New England Aquarium Whale Watch get front-row seats to observe these gentle leviathans up close! The lecture is timed perfectly to coincide with the start of New England Aquarium Whale Watches, set to resume the last weekend of March! Hardy souls can head out to Stellwagen and be among the first to welcome back the whales. Will we see familiar friends? Any new faces? Who had calves?! As always, we plan to keep landlubbers up to speed on the names and faces on the bank through our popular Whale Watch Log. If you would rather watch whales from the cushy confines of the Simons IMAX Theatre, pick up tickets to see Humpback Whales 3D. Our newest IMAX film brings you into an underwater world packed with feeding frenzies, magnificent breaches and enchanting whale songs, seen now for the first time in IMAX 3D. 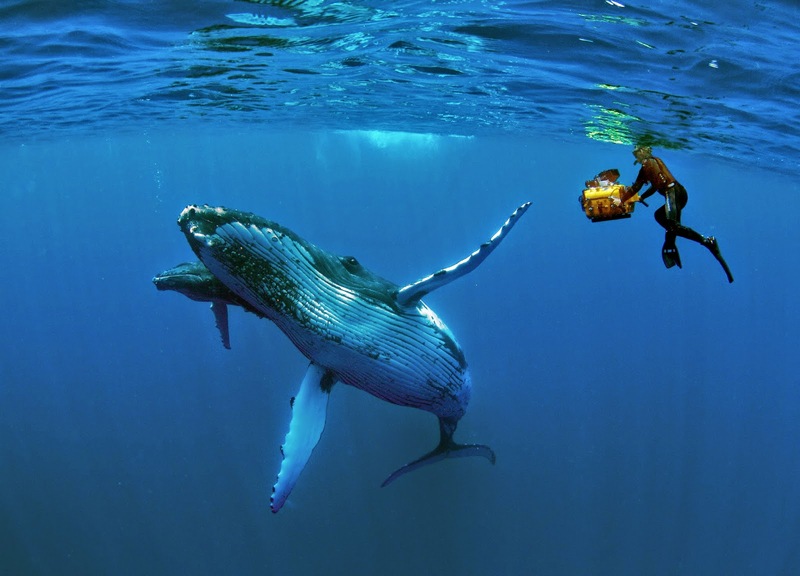 Get in the water with the whales with our newest IMAX film Humpback Whales 3D! Hope to see you on March 26 for a celebration of these amazing marine animals!